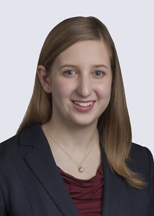 Becky Glitman counsels clients on a variety of healthcare regulatory and transactional matters. She focuses her practice on assisting healthcare clients with business transactions, mergers and acquisitions, and day-to-day compliance matters. Counsels clients on health care licensure and certification issues, including Medicare and Medicaid enrollment. Assisted a nonprofit health care system with the reorganization of its regional clinically integrated network.